The gastric sleeve is safe, effective bariatric surgical solution for obesity that is becoming increasingly popular today. People who suffer with obesity and morbid obesity often have a much larger stomach than people of average size and weight. Because of this, people with obesity often need to eat more to feel full and consequently overeat and gain further excess body weight. Obesity is often seen as disease of a progressively worsening cycle, until something is either done to break the cycle or the person becomes bed bound due to their morbid obesity. This is because, the more you eat, the larger your stomach gets and the more that you will feel like you need to eat. The gastric sleeve is a specific surgical solution that combats this problem. How Does the Gastric Sleeve Help? The gastric sleeve helps by surgically removing a section of the stomach pouch, which therefore reduces the size of the stomach and provides the realistic sensation of feeling comfortably full after eating a smaller amount of food, and also making you feel fuller for longer periods of time. The procedure generally results in no pain or discomfort whatsoever. Gastric sleeve surgery costs somewhere between $5000 and $15000 for the surgery alone, depending on the coutry that you intend to have the procedure done in. On top of the cost of the surgery, there may be additional out of pocken expenses for the aneasthetist and a range of health care professionals who would assist you both before and after the gastric sleeve surgery. Although gastric sleeve surgery is considered relatively safe surgery and is performed regularly these days without any complications, it is still surgery and not without some risk. Gastric sleeve surgery should only be considered after all other avenues of non-surgical solutions to obesity have been exhausted. These solutions for obesity should include: changing diet, to include a low GI diet, lifestyle changes, including increased cardiovascular exercise (such as daily walking), and medical review to rule out medical causes of increase weight gain (such as diabetes and hypothyroidism). 1. Research has shown that the Gastric Sleeve consistently achieves greater weight loss than the Gastric Band. 2. The gastric sleeve surgical procedure removes approximately 60% of the stomach, this greatly reduces the size of the stomach and the consequent amount of food you can physically put in it. Not only does this stop overeating, it also greatly reduces the sensation of hunger. 3. 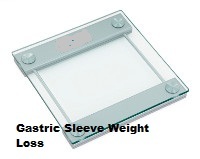 The grastric sleeve most consistently reduces the most significant amount of weight in the shortest amount of time. 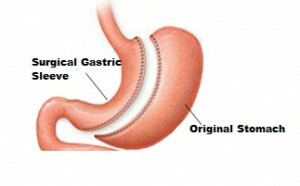 Some research has suggested a gastric sleeve can reduce up to 20-30% more excess body fat than gastric banding alone! 4. Gastric sleeve surgery is considered opperate once and leave alone type of surgery, meaning that there are no “adjustments” or reviews required after surgery. 5. There are follow on benefits for your health because of the gastric sleeve surgery and resultant weight loss, including: better controlled diabetes, lower cholesterol, lower blood pressure, and improved cardiovascular health (with a decreased risk of heart attack). 6. The risks associated with gastric sleeve surgery are similar to any other surgery, but the risk of not managing obesity are greater! 7. Gastric sleeve surgery is considered treatment of a medical condition and not cosmetic surgery, consequently, many health organisations/countries subsidize the cost of the gastric sleeve, having recognised the long term benefits of the procedure. 1. The most common concern with choosing gastric sleeve surgery is the fact that it is irriversible surgery. This means that if it isn’t right for you, you can re-attached the removed part of the stomach the next week! 2. Because you have surgical removed up to 60% of your stomach, if you eat too quickly or don’t chew your food properly, there is a significant chance that you will feel sick and vomit. 3. Gastric sleeve surgery is just that -- it is surgery and although it is commonly performed with a very low mortality rate, there is always the risk of post operative infection, bleeding, and because the surgery includes stappling of the stomach, there is always the risk of leakage. 4. A gastric sleeve will still allow you to drink as many liquids as you like -- this means you are still capable of drinking too many soft drinks and thickshakes, which will make you increase body fat! At the end of the day, how much weight can I expect to lose if I decide to get a gastric sleeve? Gastric sleeve surgery is considered very safe surgery and obviously the risks of not having surgery, and continuing to gain weight are much greater. Gastric sleeve surgery have been performed for many years and are considered a safe and effective way of permanently reducing weight and improving the health and wellbeing of a person who suffers with obesity and morbid obesity. As the gastric sleeve surgery is becoming increasingly popular and a necessary bariatric surgical step in the treatment of people with morbid obesity, paramedics are required to know more and more about this procedure, its potential complications, and their treatments so that they are better able to serve patients.